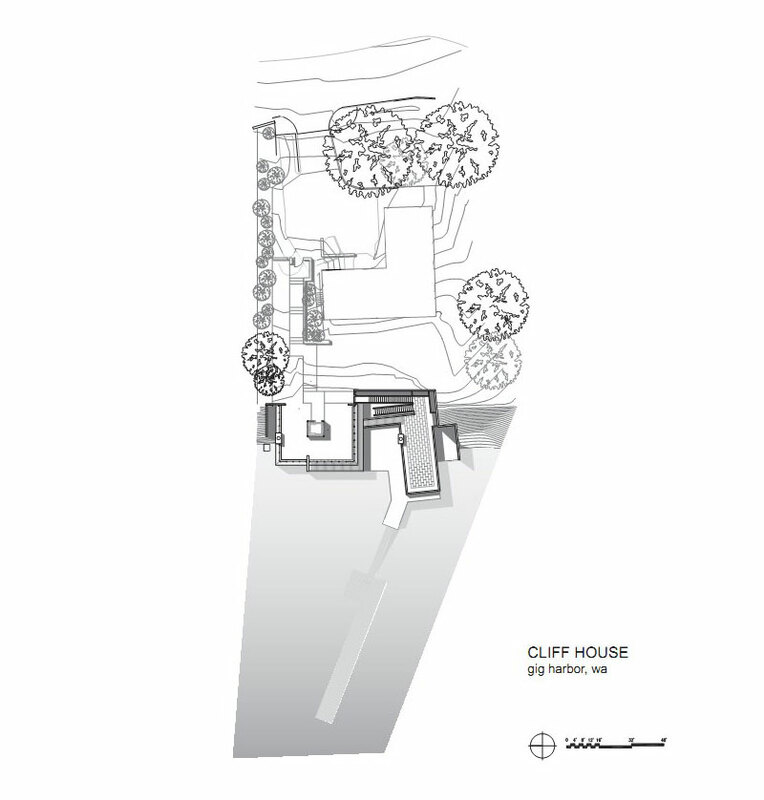 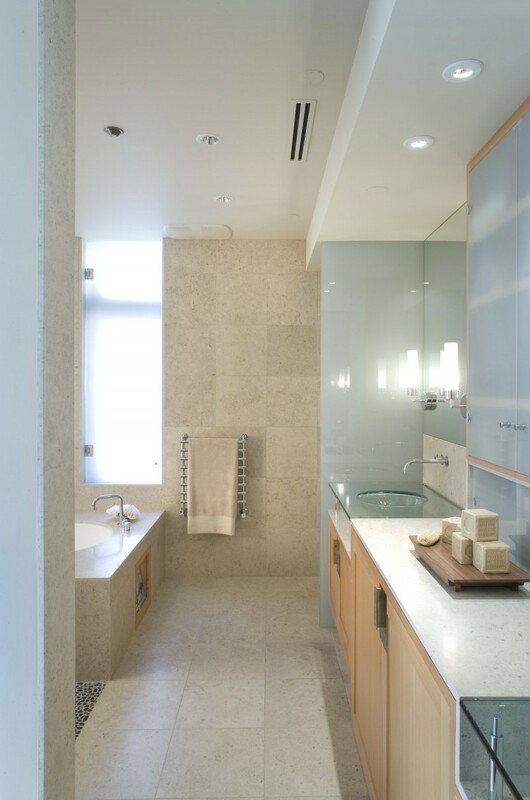 Seattle-based studio Scott Allen Architecture has designed the Cliff House project. 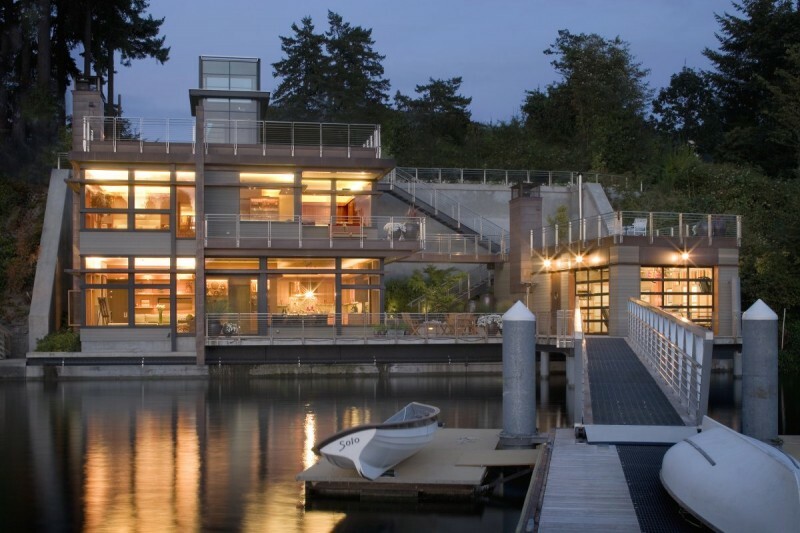 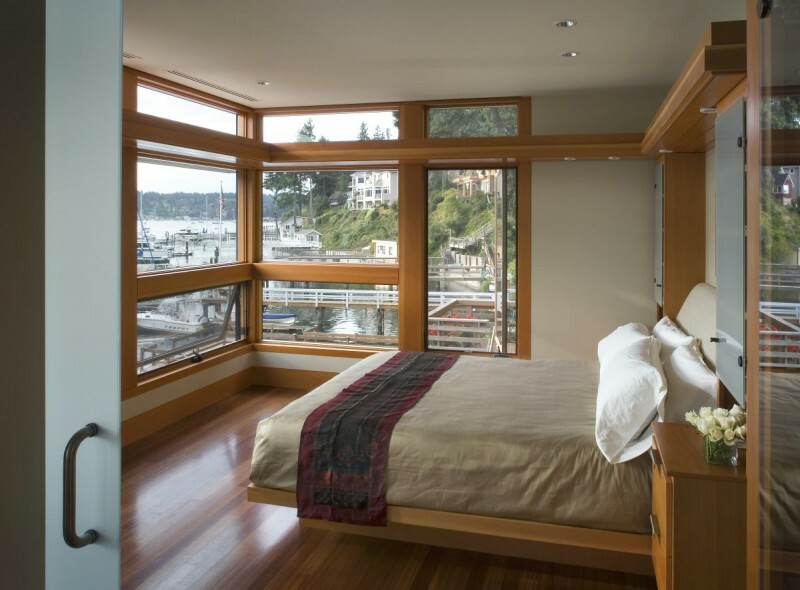 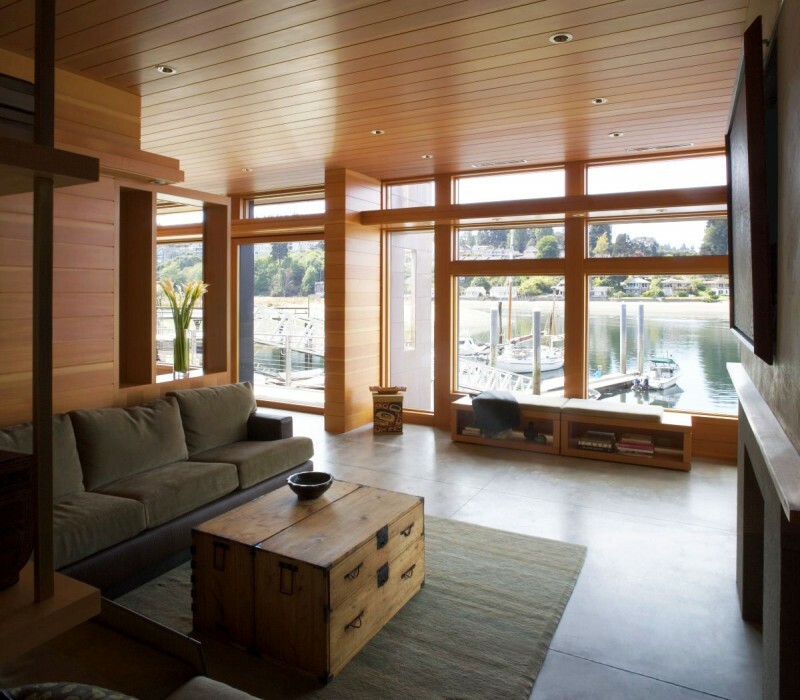 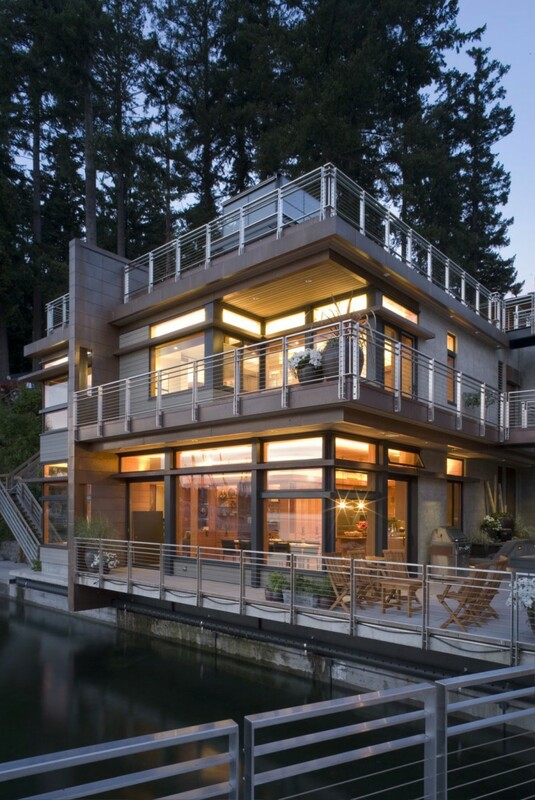 This two story contemporary waterfront home is located in Gig Harbor, in Pierce County, Washington, USA. 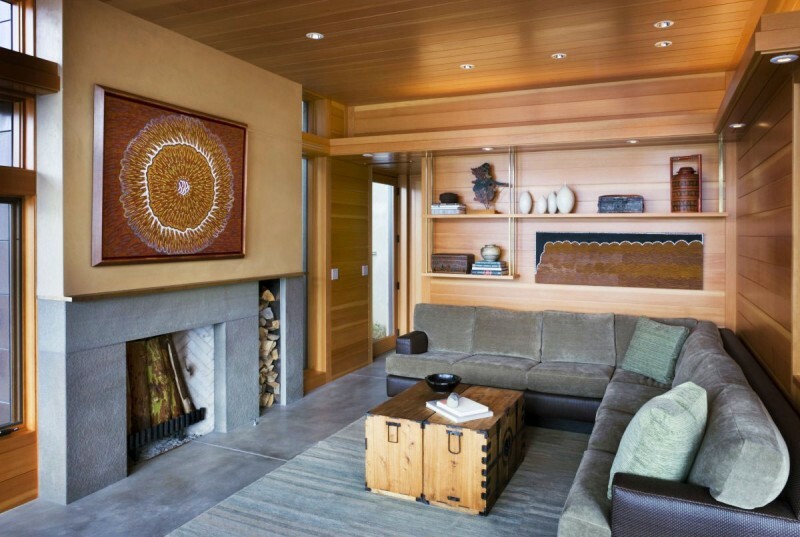 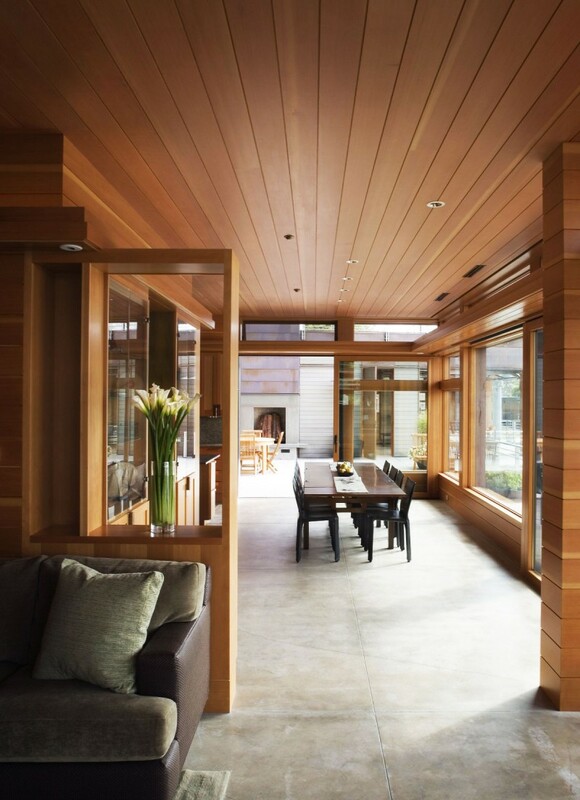 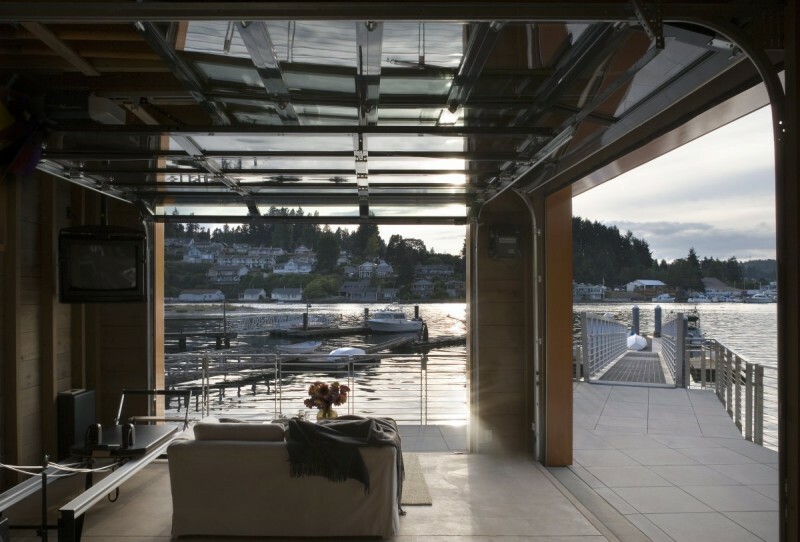 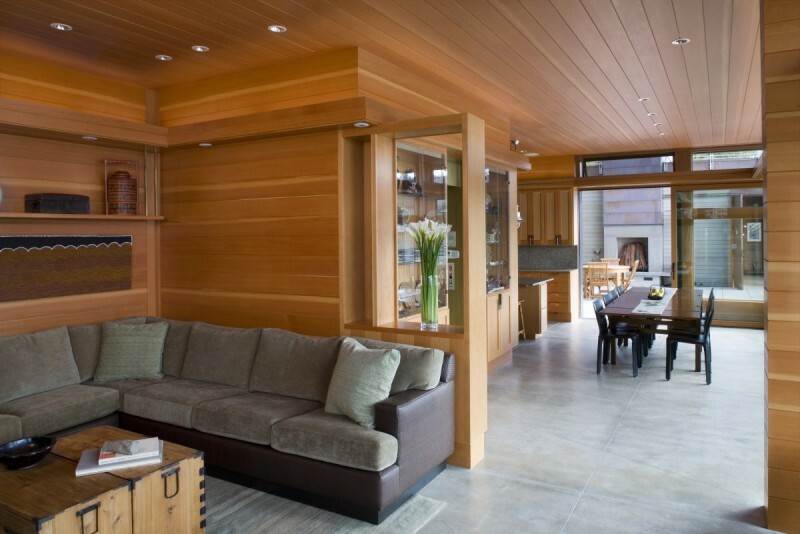 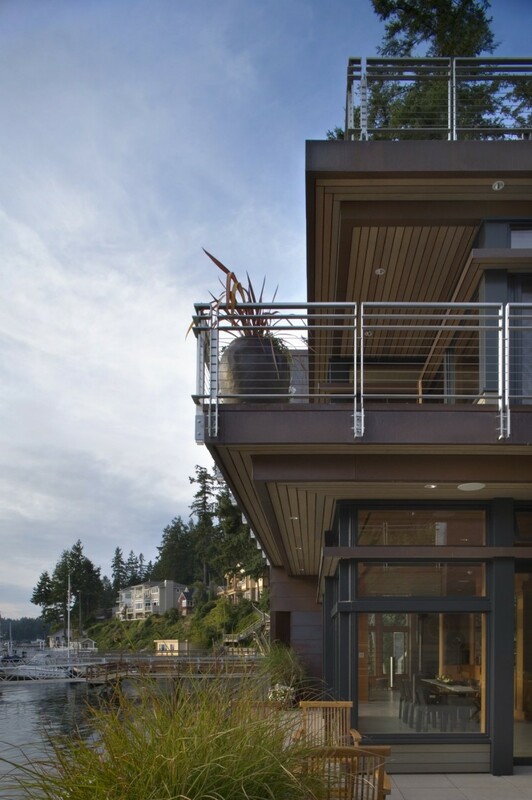 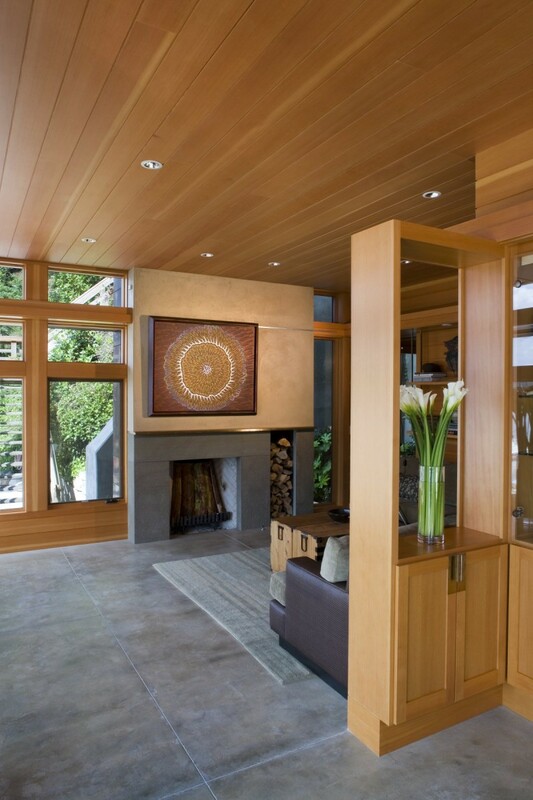 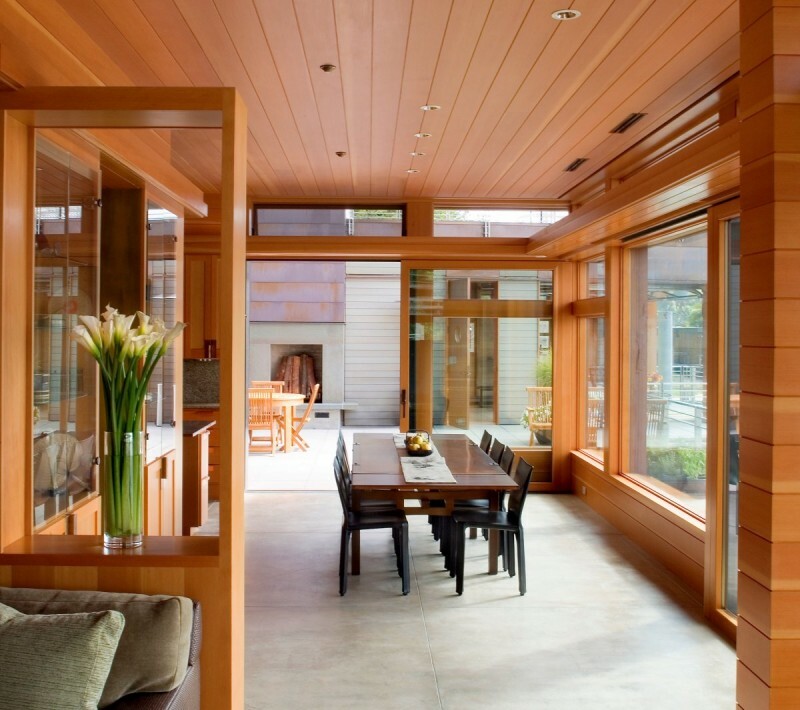 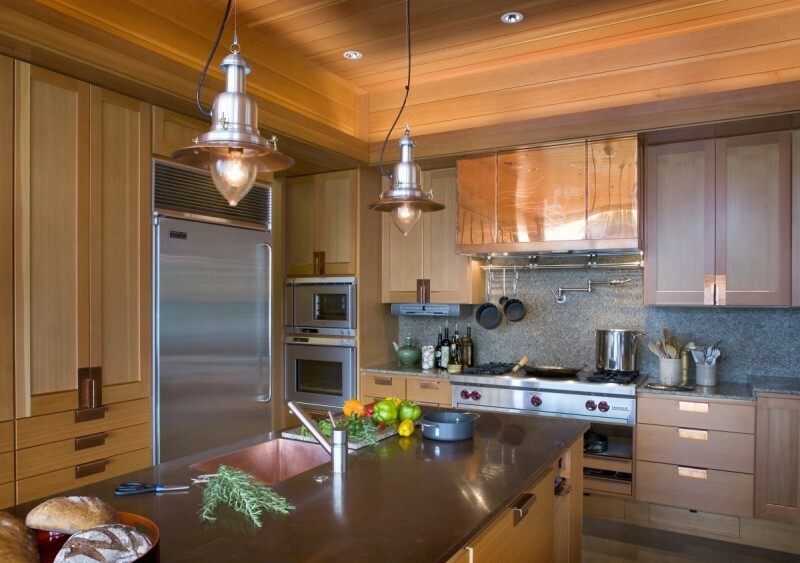 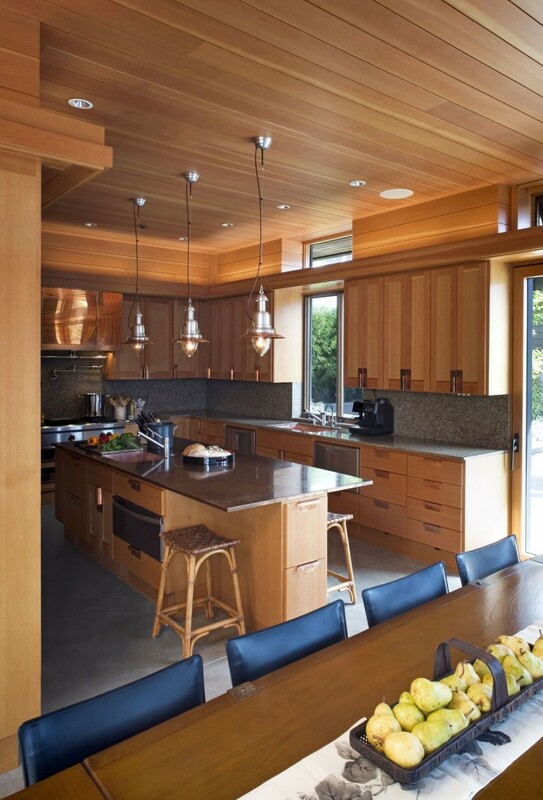 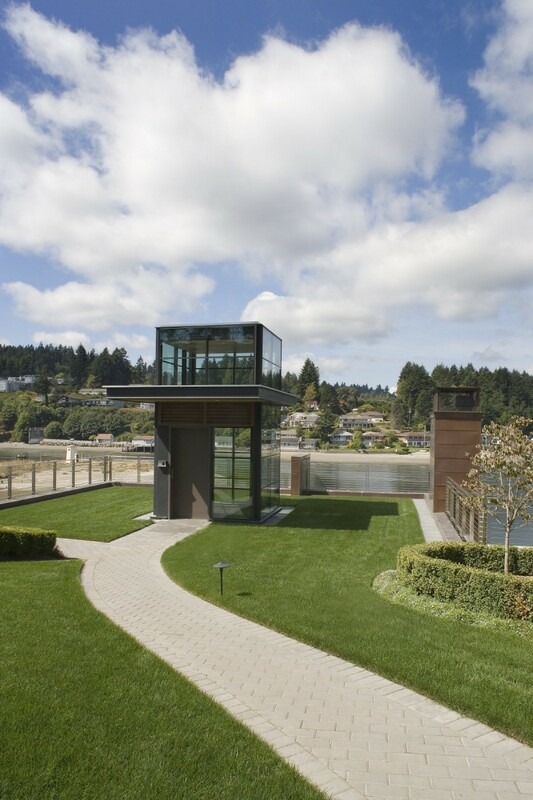 “Tucked against the wall of a natural cliff and right on the water’s edge in Gig Harbor, Washington, this project answered the unique challenges of its site. 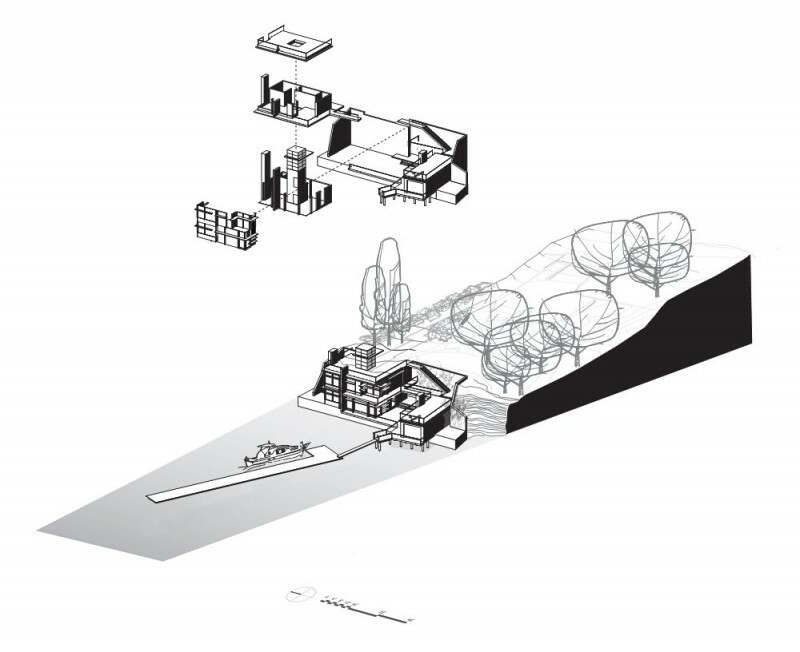 The footprint for the new structure replaces an old guest house and boathouse, and was limited in its size by an agreement through a regulatory process. 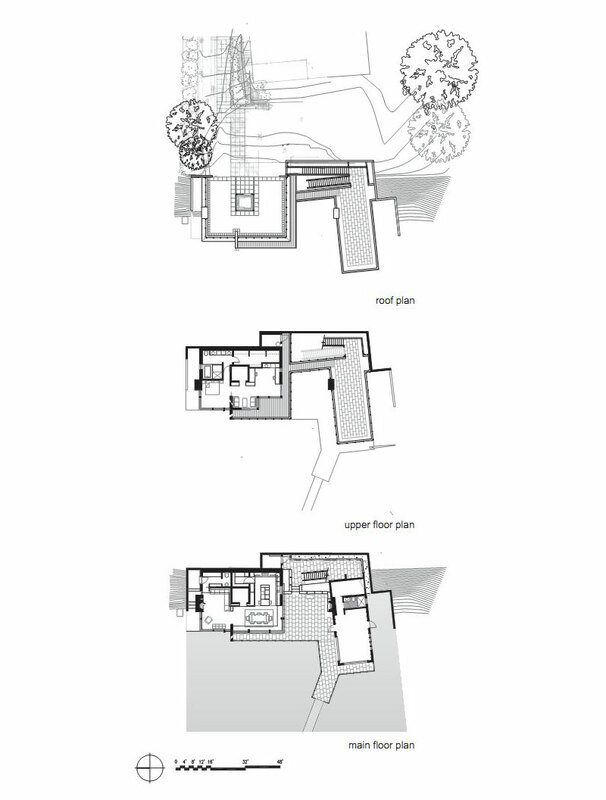 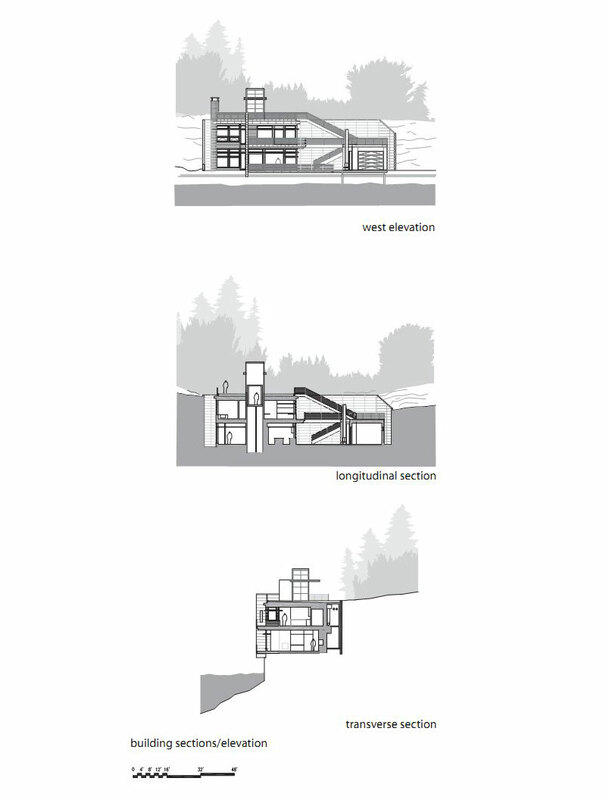 The design solution makes the roof of the new structure an extension of the upland lawn, with a glass-enclosed elevator providing access to the two levels below. 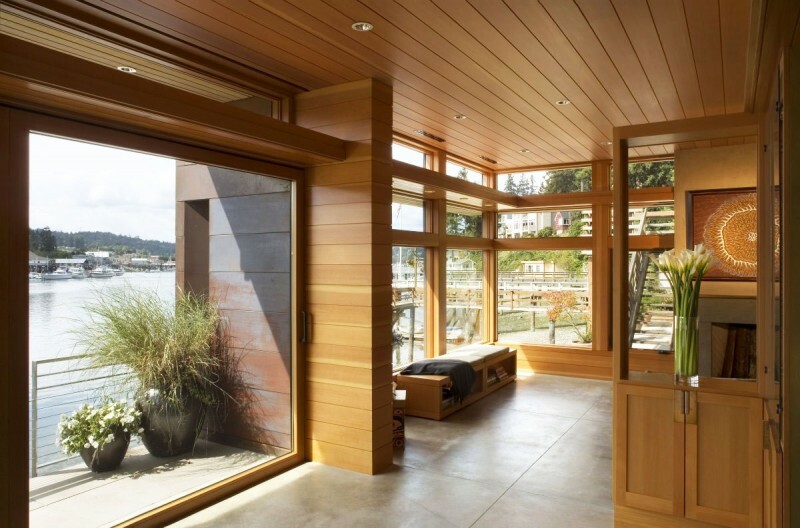 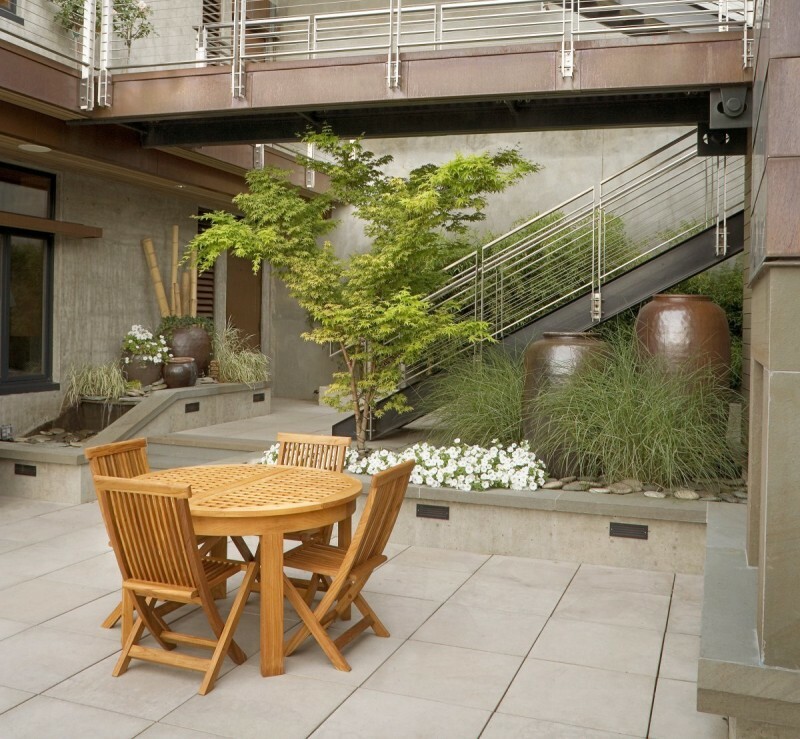 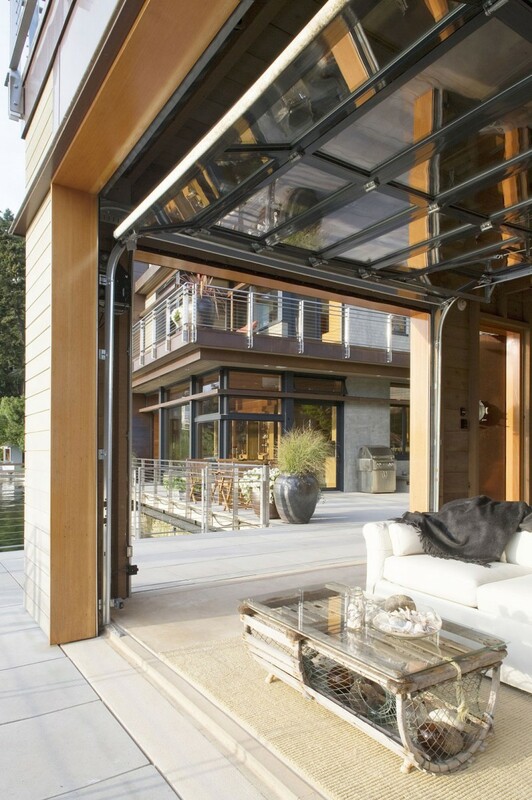 To the south, an outdoor living space is set between the house and a new boathouse. 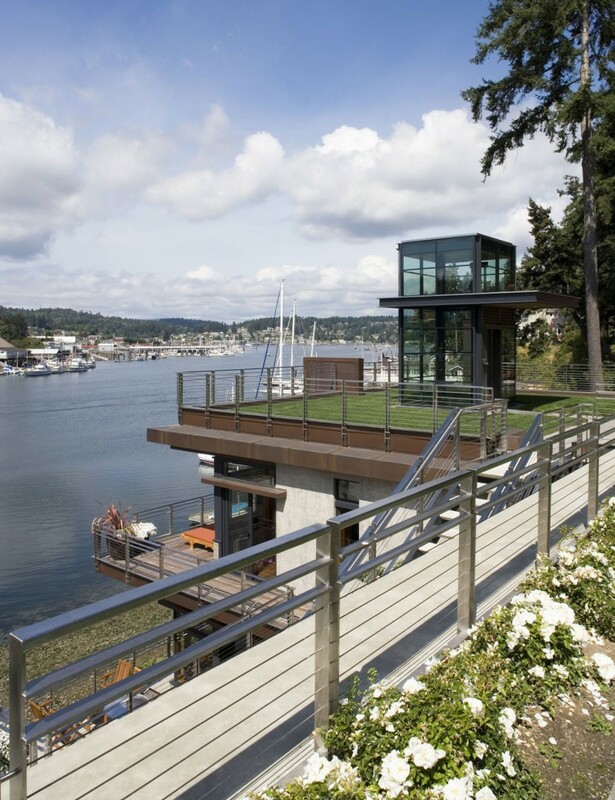 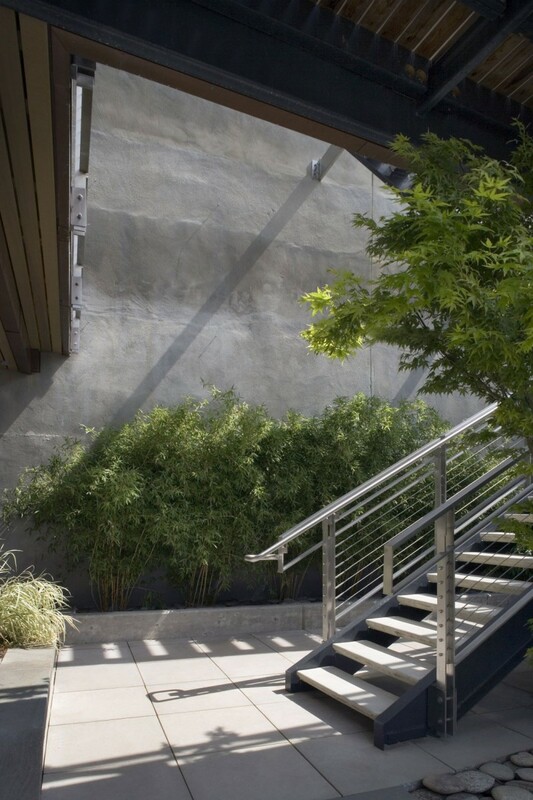 Stairs lead down to the water and are incorporated into a series of decks, terraces, and bridges that create spaces for living and entertaining. 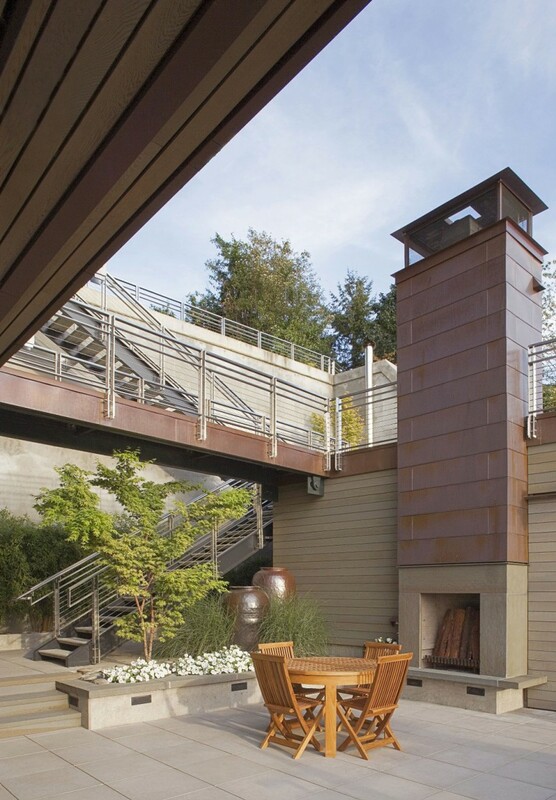 This area also features a wood-burning pizza oven and an outdoor fireplace.